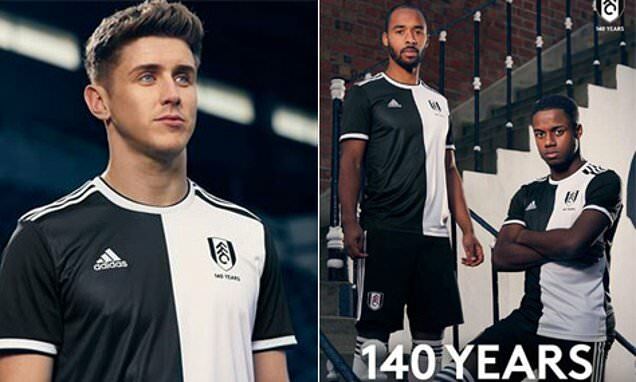 Fulham launch a 140th anniversary shirt and claim to be "London's original football club" (which may be phrased to skirt around Cray Wanderers' competing claims) . It will only be worn in a pre-season friendly sometime this year though. I presume the halves are a nod to the sky and royal blue ones the original club wore as St Andrews. 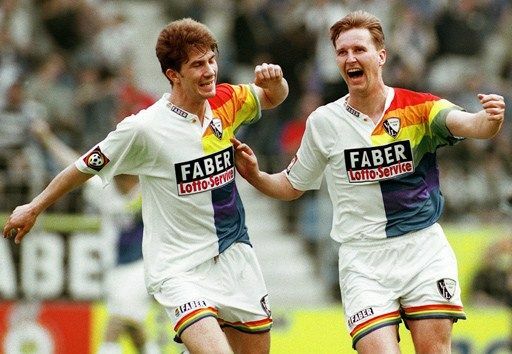 Do many other clubs play in navy/white or black/white halves? Siena did black and white quarters before they went bust, but I don’t think that they ever did halves. Halves present challenges for sponsor logos and names and numbers, and I fear that the Fulham kit won’t look anywhere near as sharp once those are added. I was thinking it looked too training kit without them. Is that technically a recoloured badge too? Yes, that's nice JVL, but medium blue/white halves are more of a thing. Can't recall too many of the darker contrasts. A very good point, Ursus. Red numbers & lettering usually works best in these cases but it does affect the aesthetic. Fulham launch a 140th anniversary shirt and claim to be "London's original football club" (which may be phrased to skirt around Cray Wanderers' competing claims) . Bloody hell, that took me ten minutes of Googling to work out what that meant. On Cray's Wikipedia, it says they are "the oldest football club in London" which, I suppose is technically true. Was that meant sarcastically, or did these not count? To be fair, Altrincham's looks lots better. 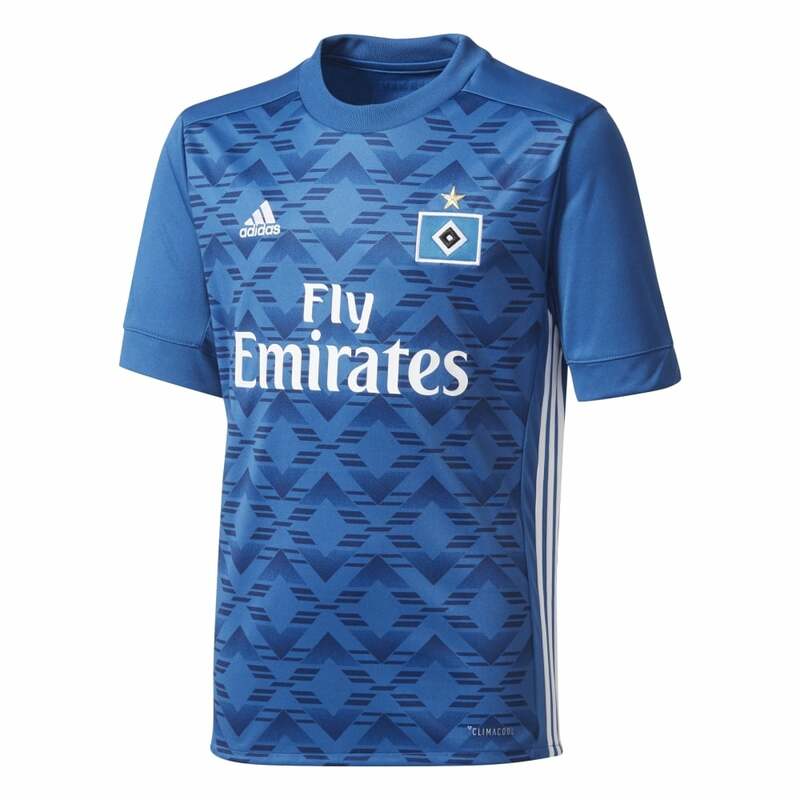 I saw a little of a HSV game today and didn't realise that Adidas had brought back their early nineties template (best known on the Arsenal "bruised banana" change kit) as shown on their third shirt. Who else is is sporting it? I think Altrincham can get away with this claim because unlike Bochum or Rayo, it's unambiguous. It's 100% of the shirt (bar the usual modern accoutrements), it's 100% the pride flag. 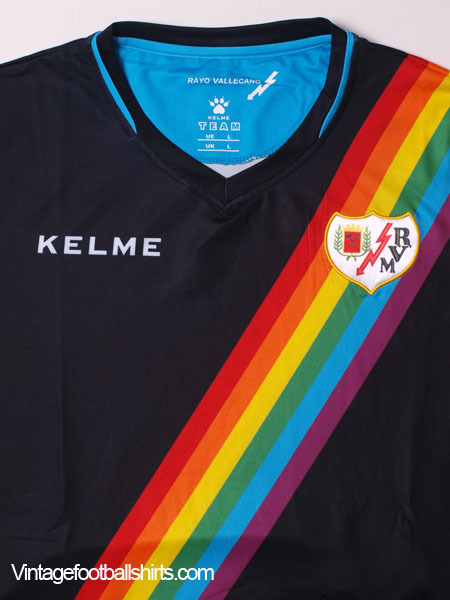 Nothing ambiguous about Rayo’s as it replaces their usual one colour sash, the shirt/club’s defining feature. 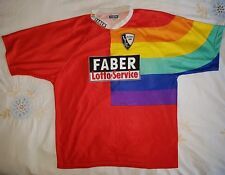 The Germany Women World Cup shirt is rather brilliant. 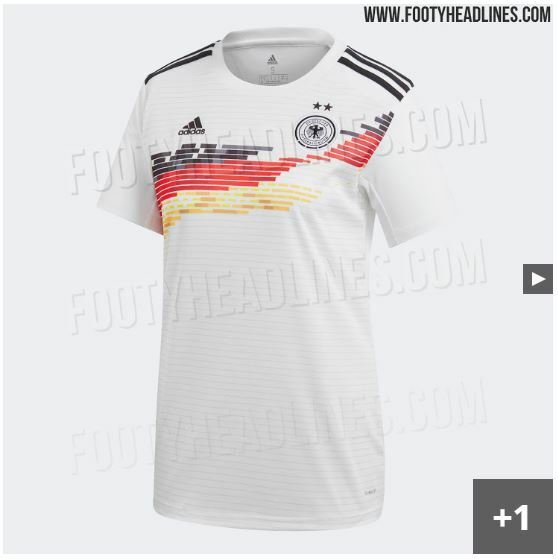 It's certainly a far better tribute to the 1990 shirt than the men's - shows how necessary actually having the Bundesflagge colours on it is. 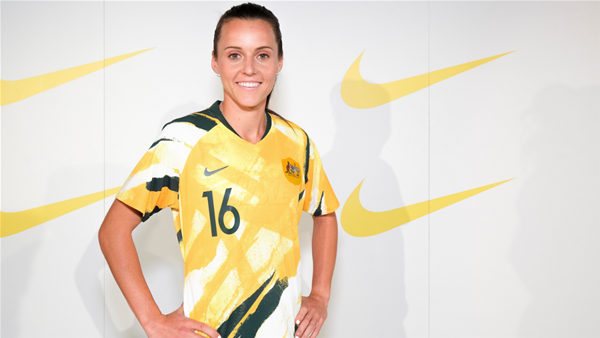 Nike has introduced all of the kits it is making. None match the Germany jersey. Is that Australian first kit meant to be a tribute to the infamous early 90s effort as associated with Robbie Slater's flat top? Sampdoria wore a special commemorative kit against Atalanta on Sunday, marking the 120th anniversary of the founding of Sampierdarense, who merged with Andrea Doria to form the club we now know. If you'd like to read about that and Bohemians having to wear their change kit at home to Derry City, I've included them in an article on the weekend's kit occurrences. It's unfortunate that Milan have claimed that as one of their relatively frequent change choices.